I can’t get enough coffee on this road trip. 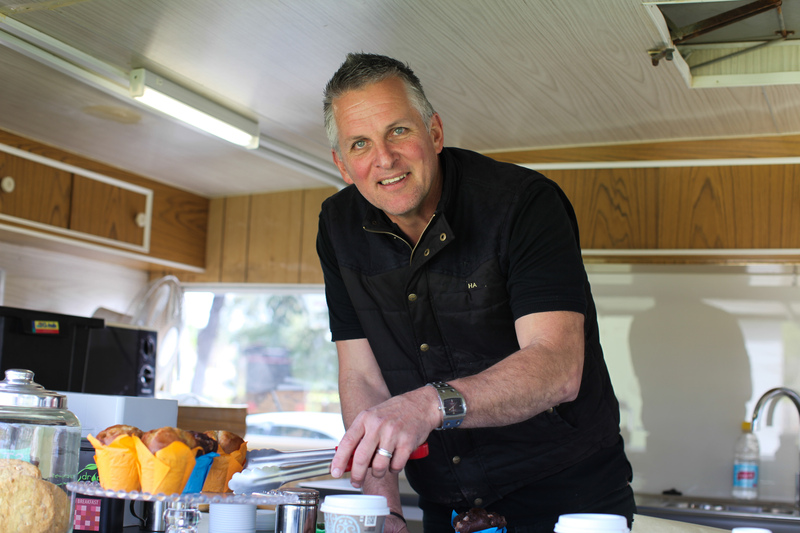 There is nothing like the smell of a fresh brew while you’re sitting in the middle of nowhere, watching three little monkeys terrorise each other and trash your newly renovated Airstream. 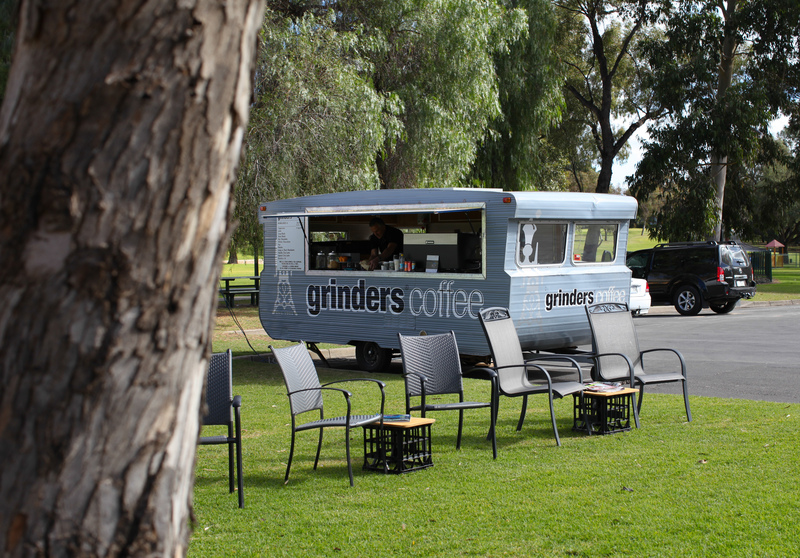 So it was exciting to discover this vintage coffee caravan down by the Murray River in Mildura. “I wanted to go a bit vintage to be different to everyone else. Old school is better sometimes I think. I love food and people and this fell in my lap. It certainly does fill my need to be able to talk to people. The kids managed more chocolate muffin on their face than in their mouths. 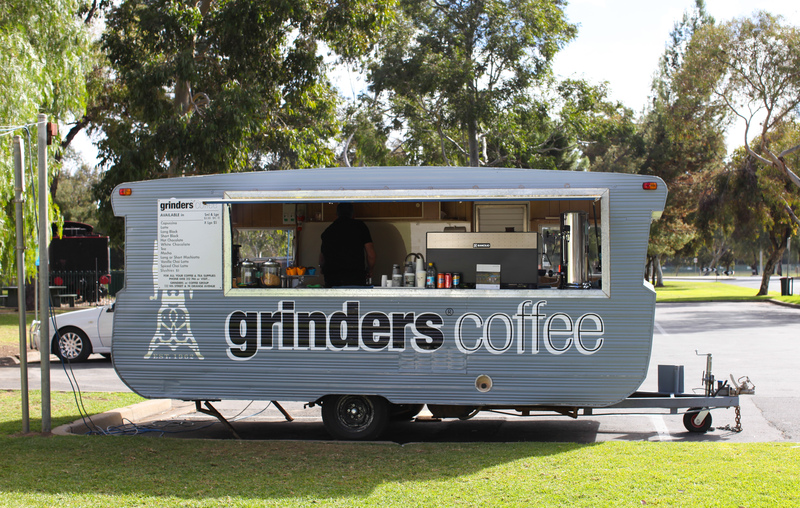 But we were all happy as we hit the road to Mungo National Park. Heaven! 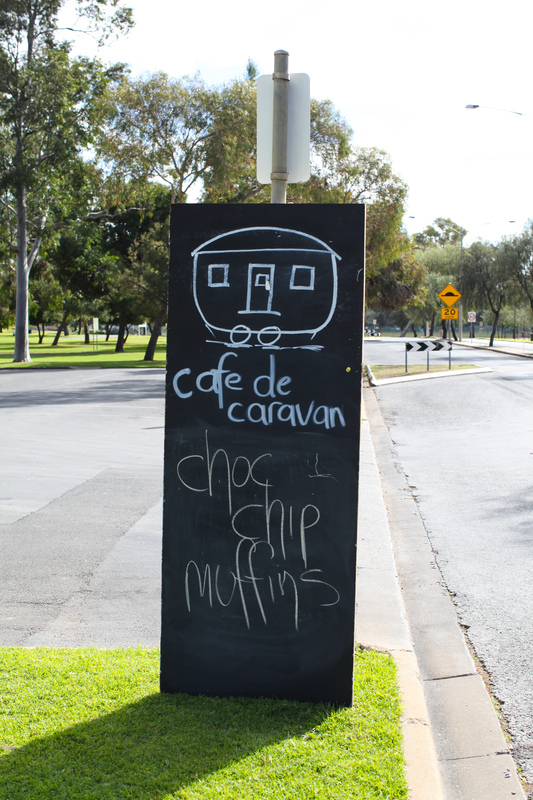 AND, chocolate chip muffins and a lovely smiling face!